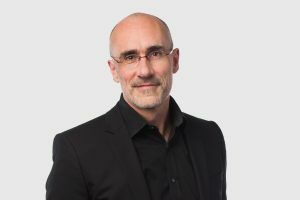 Topeka – The Kansas Chamber announced Dr. Arthur Brooks, president and CEO of the American Enterprise Institute, will be the keynote speaker at its 2019 Annual Dinner. Before joining AEI in 2009, Dr. Brooks was the Louis A. Bantle Professor of Business and Government in the Maxwell School of Citizenship and Public Affairs at Syracuse University, where he taught economics and social entrepreneurship. Prior to his work in academia and public policy, he spent 12 years as a classical musician in the United States and Spain. Dr. Brooks is a contributing opinion writer for the New York Times and the bestselling author of 11 books on topics including the role of government, fairness, economic opportunity, happiness, and the morality of free enterprise. His latest book is the New York Times bestseller “The Conservative Heart: How to Build a Fairer, Happier, and More Prosperous America” (Broadside Books, 2015). He has also published dozens of academic journal articles and the textbook “Social Entrepreneurship” (Prentice Hall, 2008). Presented by Cox Communications, the Kansas Chamber’s 2019 Annual Dinner will take place on Tuesday, January 22, 2019 at the Kansas Expocentre in Topeka. There will be a 5:00 p.m. VIP Reception, 5:30 General Reception, and 6:30 p.m. Dinner/Program. All events will take place in the Exhibition Hall. The Annual Dinner is the largest gathering of business leaders and policy makers in the state. It features the presentation of the Chamber’s annual Ad Astra award. The Ad Astra recipient is a Kansas business chosen for its unique contribution to the economic health and welfare of our state and its community.